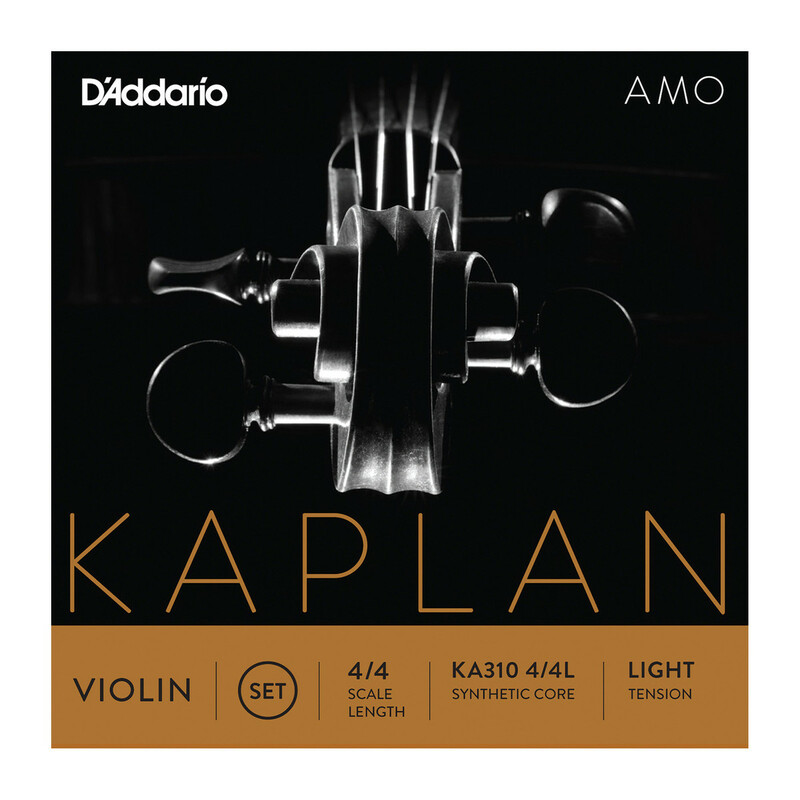 The D'Addario Kaplan Amo Violin String Set features a versatile sound for the advanced musician. The A, D and G strings' synthetic cores produce a range of warm, complex overtones added to a clear sound. The E string is an unwound steel material that adds high frequency clarity to your overall sound. The Kaplan Amos' light gauge tension has a more expressive feel that allows you to comfortably offer character and vibrato to your performance. This pack's windings include aluminium and silver to protect the string whilst adding a more comfortable feel. These strings feature ball ends and are designed for full size violins.